We are seriously on countdown, Clean Eaters! There is just a matter of days before we are faced with piles of food and desserts, almost none of which really have any nutritional value. It is these times when most people pack on the usual "holiday weight gain"... but it is just that, USUAL. It does not mean you have to fall victim to it! The main reason I created the No Excuse November Challenge is NOT to deprive yourself over these holiday times. The purpose of the challenge is to ensure that you stay ON TRACK, make HEALTHY decisions, and keep moving and active. Just because it is the holidays, does not mean that we have the right to deprive our bodies of quality nutrients and instead stuff it full of fake sugars, fat, and chemicals. This post is your guide on how to survive Turkey Day this year! It honestly is quiet easy, and doesn't require you to be giving up much. 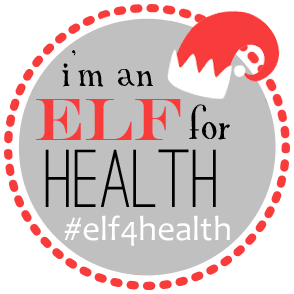 In fact, leading a healthy holiday can become a new tradition in your family and ensure even easier menu and activity choices in years to come. 1) If you are planning the menu, do so days (or a week or so) before hand. This way, you have time to find healthy recipes, and ask you friends and family attending what sounds good and if they would be open to the dish. It also gives you the opportunity to make a grocery list, pre-buy and prepare any food that you can ahead of Thursday so that when THE day comes around, you will be planned out and ready for success! This step prevents any last minute dishes, chaotic mornings in the kitchen, and most importantly lets you spend more quality time with those you love. 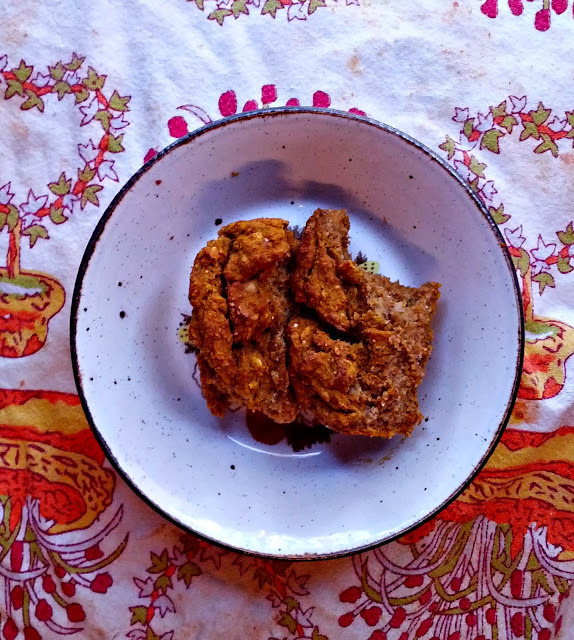 Make some tasty Pumpkin Walnut Oatmeal Bread for everyone! 2) If you are not planning the whole menu, bring a few of your own healthy dishes. I grew up never having Thanksgiving at my own house. We ALWAYS went over to family's house for the date, where the entire family and our friends congregated and feasted. I completely understand this! It really is SO much easier not having to cook everything and hold the event in your own home. However, I know from experience (just as I know you do!) that these events almost NEVER include healthy options. Grandma's broccoli casserole is a favorite, sweet potatoes are already buttered and covered in marshmallows, and there's even an entire TABLE dedicated to desserts! It always amazes me, actually, how there can be SO MUCH food, yet almost never is there a simple dish of fresh fruit or vegetables. While these home made treats are great to the taste buds and all, they are anything BUT great for your body. Usually they include processed items (pre made crusts, cans of cream of mushroom, sticks of processed margarine or butter, refined sugars and oils, low quality cheeses and dairy) and sometimes are actually store bought all together! Unless you take the time to make a few dishes at home yourself, I really doubt you can find any dish that is free of processed and low quality items, no matter how "home made" they claim to be. This year, it is perfectly fine (and even fun!) to try something new and be the one who brings that delicious pie, meat, salad, or casserole... the only difference is that you have made it free of processed, unhealthy ingredients. This way, you know for a fact there will be yummy things you can fill you plate with... plus, you will love knowing that you have at least provided one nourishing dish for everyone else's bodies! 3)Make sure to eat before the dinner! A big mistake many people make is starving themselves all day, trying the "save their calories" or their hunger for the main event. This NEVER, ever works guys! By depriving yourself of food all day, you become ravenous. Your blood sugar drops, and you can even develop a headache. Tell yourself that yes, you WILL eat at dinner... but there is no need to deprive yourself the rest of the day. By eating appropriate amounts before the meal, you will not be as tempted to go overboard and binge during the Thanksgiving feast. You will actually be able to THINK clearly and make responsible food choices instead of stuffing as much into your mouth as you can! Get moving with this AWESOME at home workout!! 4) Get ACTIVE! There are tons of ways to ensure activity come Thursday. You can sign up for a Turkey Trot in the morning, which is becoming an increasingly popular trend. Or, if that is not an option, be sure to fit in some sort of workout or movement before the dinner. Try to get even a quick one in, preferably in the morning before things get crazy. 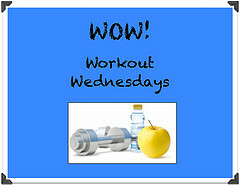 Get in an awesome leg workout, or if you don't prefer anything vigorous, even a yoga session will do. Exercising before the dinner can help you stick to your healthy eating routine, rather than completely forget you ever had a health goal to begin with! 5) Pay ATTENTION to how you feel. It is hard to focus on what your hunger cues are telling you when you're faced with mountains of food and a house that smells of turkey, stuffing, and pie. I get it! But in order to ensure that you do not pig out and afterwards feel bloated and gross, it is important to really LISTEN to your body. 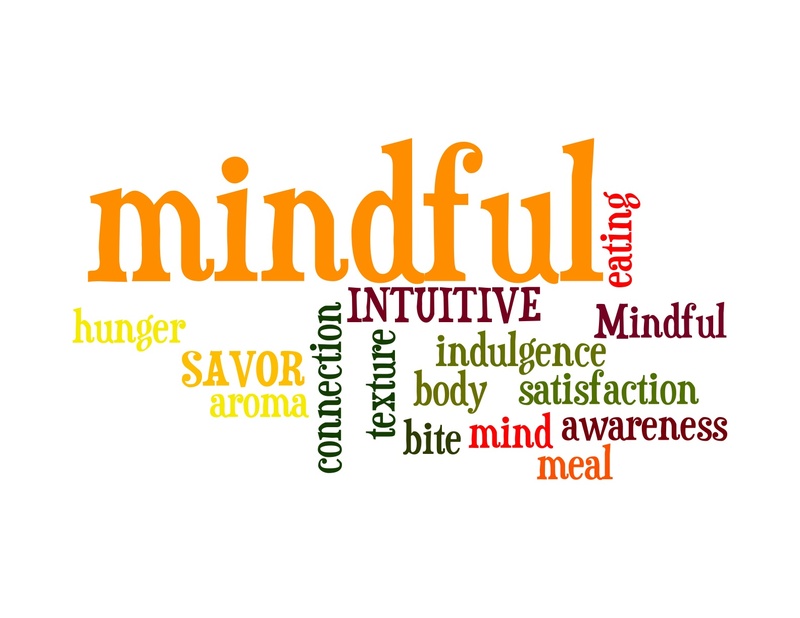 Practicing mindful eating has really helped me control bloating and other stomach pains in my day to day life. Before mindful eating, I would tend to eat more food than I needed, only to feel REALLY full and gross afterwards. The rare times it happens now days, my stomach and body feel "off" for a few days until I can get back on track. It can be hard, I know, but if you can manage to focus on your FOOD and stomach throughout the meal, you will feel satisfied much faster and not have the urge to go back for more and mroe food. Also, I might want to point out that it is helpful to get AWAY from the buffet area when eating. By seeing the food right in front of you, it is hard to focus on the food on YOUR PLATE. Try moving to the living room or even outside to enjoy the meal. Also, remember to engage with others. After all, talking to people and making memories through conversation is always more important than food. Thursday, just be sure to not go overboard and have JUST THAT: a little bit. The reason I have chose to use this technique last is because, as you know, I am not exactly a follower of the "80/20" rule or any other "moderation is key" term. I am not saying it doesn't work for people, because I know it does for SOME. For me, though, and I know many others too... it really just doesn't make sense. Why on earth would I fill my body with junk "20%" of the time, when I can seriously make that exact same food I am wanting/craving at home in a healthy way? What I mean is this... sure, a pumpkin pie or a casserole is TRADITIONAL for you to eat on Thanksgiving. But why would you sit there and eat something processed, with no nutritional value when you can make the exact same dish in a healthy way? Remember, the November Challenge ISN'T about deprivation. It is about making smart choices. 7) Don't be shy! The internet is FILLED with yummy, nutritious recipes. While there are many great recipes here on Clean Eating Teen, there are even MORE all around the web! One of my favorite things about reading healthy living blogs are all the RECIPES I find! Remember how I am also a contributor on Real Food Recipe Roundup? That website is AN awesome source for REAL, nutritious foods. It's kinda like a giant Pinterest for foodies! Here is a list of some of my favorite bloggers. You can find awesome recipes on their sites! 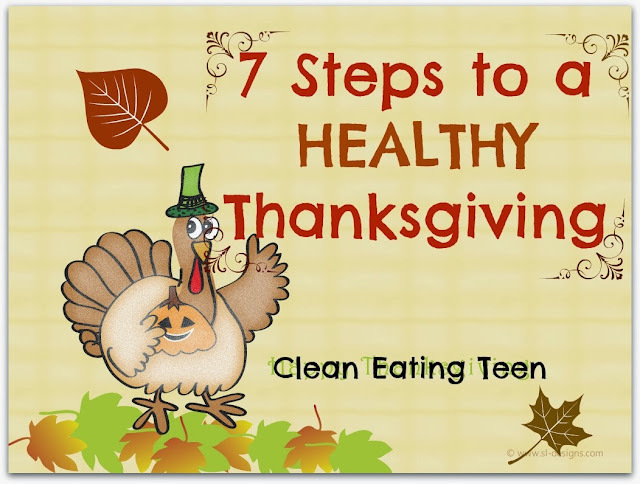 Please, comment below with what your plans are to have a HEALTHY Thanksgiving! Also, what healthy recipes are you wanting to try this Thanksgiving?